Cormac McCarthy’s The Road is one of those rare books that is simultaneously inspiring, depressing and full of literary genius. The novel’s father and son trek to find a safe haven in an apocalyptic age where the unknown wilderness has become their home sets the scene for this award-winning masterpiece. What separates McCarthy from other writers is his desire to create a world so familiar that it is hard to believe it is fantasy, unrealistic and impossible. Still, the novel’s language is so vivid that it is hard to believe that the apocalypse is not coming, that strangers on the road are not going to attack us and that we will not have to brave the harsh conditions of winter alone, in order to survive. McCarthy sets up his tale poetically, creating the award winning text hinged on a simple yet destructive plot. With brilliant strokes McCarthy captures our attention, weaving the past and present into a careful diatribe on humanity, full of despair. The man and the boy, he surmises, are the symbol of humanity that has failed to live up to its divinity. In the end, we are left wanting more. The boy represents the hope that humanity can survive. In those emotional final pages, this reader was reluctant to let go of the man and his son. McCarthy’s juxtaposition of life and death together in one setting create an awe-inspiring novel. 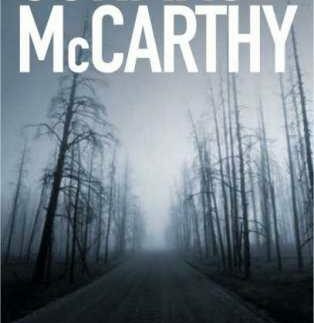 If there is one fault, it is the male-dominated world McCarthy often portrays. As in No Country for Old Men, the story centres around the men of the world, giving little time to the equally important women that have created the modernity we all enjoy. The Road is a story about a man and a boy after the mother leaves, and in McCarthy’s argument, is not strong enough to carry the weight of a child with her. This is one of the very few criticisms that has surrounded McCarthy’s genius as a writer, but one that can be pushed aside in light of the story that unfolds. Cormac McCarthy is an American novelist and playwright, who has written ten novels as well as plays and screenplays.He received the Pulitzer Prize and the James Tait Black Memorial Prize for Fiction for The Road.